Close to both the airport and the business district, the Taj Banjara is a convenient setting for small meetings of 15 to larger gatherings of 275. It offers wireless Internet access and secretarial services. The lush lawns that surround the hotel are an inviting venue for cocktails and receptions for up to 400. 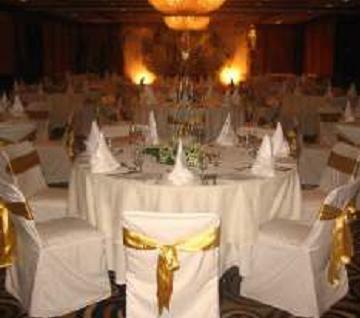 The hotel offers excellent themes. With its 5 banquet spaces and 2 outdoor venues smartly furnished and equipped with state-of-the-art conference facilities, Taj Banjara offers several reasons to choose the hotel for product launches, musical soirees, weddings, corporate meetings, theme dinners, conferences, fashion shows, and other functions. Sahil Lawns (13,500 sq ft ) can accommodate up to 1200 guests. Middle lawns (4200 sq ft) can accommodate up to 400 guests. Lower lawns and poolside can accommodate up to 250 guests.